I think that we all can agree that a skill that we can all try to improve upon is our ability to listen. We all like to think, plan, and ACT.......but sometimes the better option is to be mindful, be present,.....and listen and we don't just need to improve on our ability to listen to others we also need to improve on our ability to listen to our own body. Are your knees aching?.......What is your body trying to tell you? Maybe you need to chill out on the running. Is your stomach messed up?......What is your body trying to tell you? Maybe you need to back down on the coconut oil there Keto Carl! 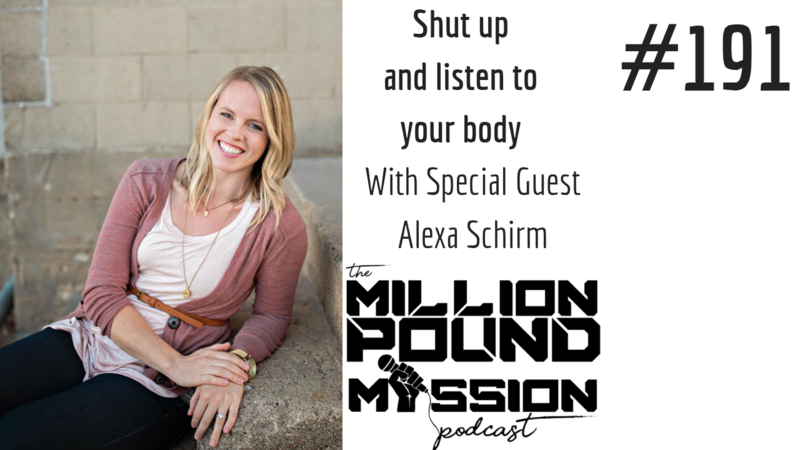 In this week's episode I'm bringing in my friend Alexa Schirm to help us learn about what our body is telling us and how to give it what it wants. Alexa is the host of the Simple Roots Radio podcast. She's a mother of three girls and a nutritionist who loves to create new recipes using real ingredients and then show us how these can impact our health. One of my favorite things about Alexa is that she always delivers actionable advice and gives us the science to back it up. The story about how she became so fired up about being a health and wellness coach. How she balances what she learned from her college education with the latest cutting edge nutritional science. Where we tend to mess things up with our nutrition in general. How we can help our children eat healthier. Her advice for someone who is just too BUSY to get healthy. Ready for a Transformation ReBoot? If you feel like you have been stuck inside the cycle of losing weight and gaining it back again I've got good news for you: You probably don't need a new diet OR a new fitness program.....you just need a better game plan and some support to implement that game plan consistently. Now you can join my Transformation ReBoot program any time. Click the link and get ready to start building momentum together!